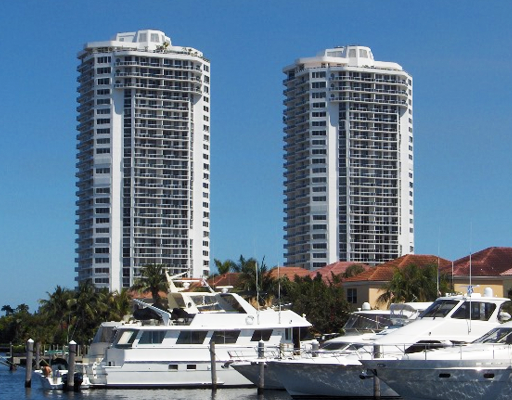 One Island Place Aventura is a spectacular condominium complex that consists of two separate towers with 112 residences each. 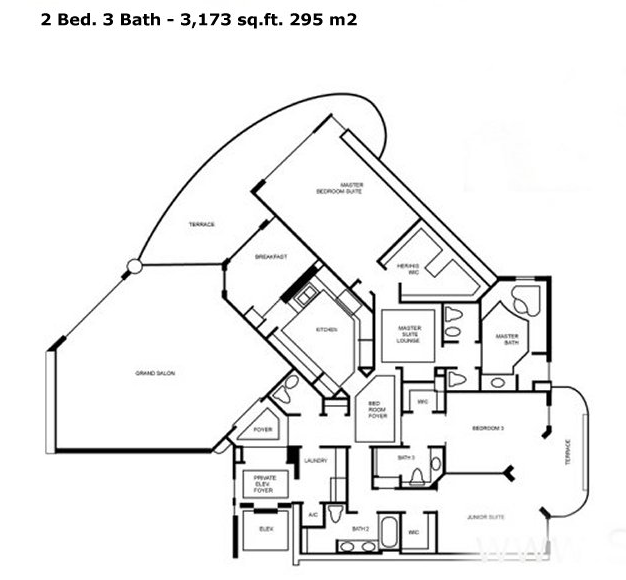 Floor plans vary from two to five bedrooms. 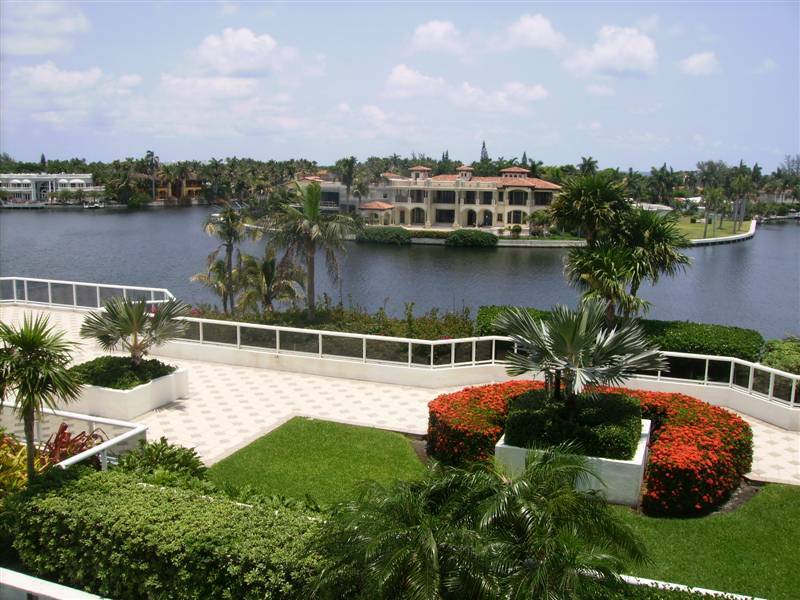 Located in the heart of Aventura, the development offers convenience, privacy and luxury, as well as unobstructed views of the Intracoastal, the city and the Atlantic ocean. 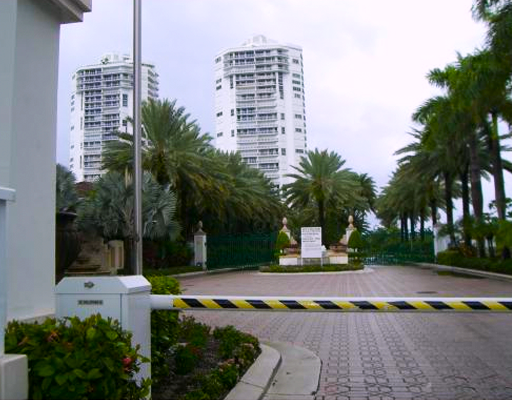 The gated community of One Island Place Aventura is situated within walking distance of the famous Aventura Mall and Turnberry Isle Resort and Golf Course. Residents will also be minutes away from the beaches, the world-famous Bal Harbour Shops and a wide array of dining and entertainment venues. 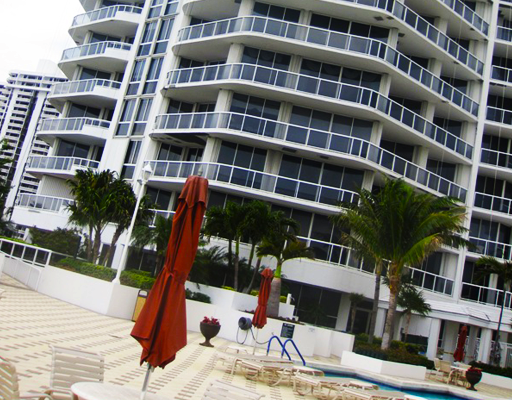 Inside One Island Place Aventura, you will find elegance and style everywhere you look. 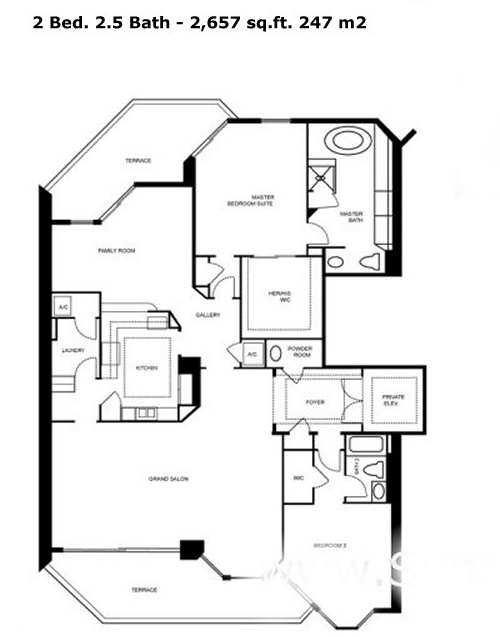 Kitchens feature custom cabinetry, cooking islands and top notch appliances. 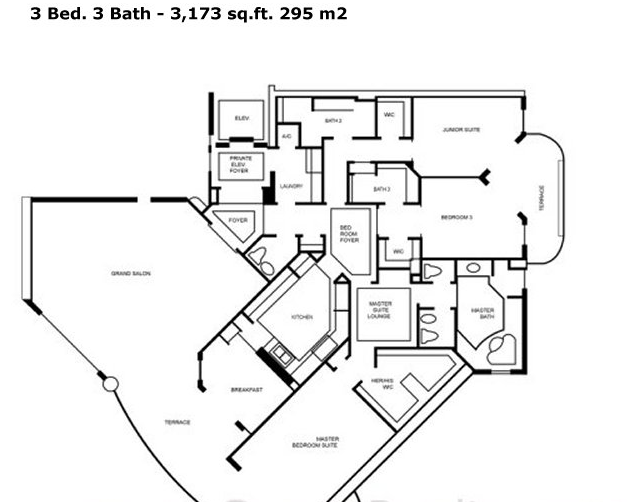 Bathrooms feature marble flooring, and bedrooms come with huge California closets. 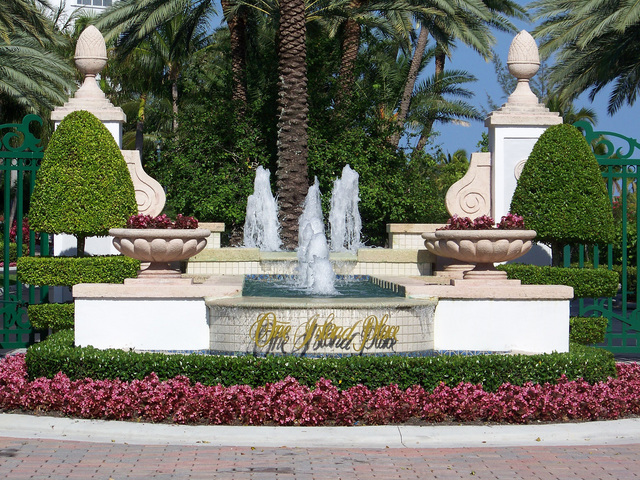 One Island Place Aventura has everything you may need for a healthy, resort-like lifestyle. The great amenities include a health club, an exercise and fitness center, Presidential Country club, sauna and tennis courts. 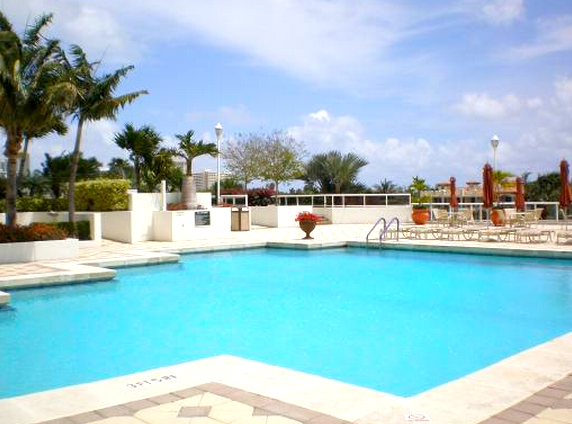 For fun in the sun, you will have two outdoor over-sized swimming pools at your disposal all year round. 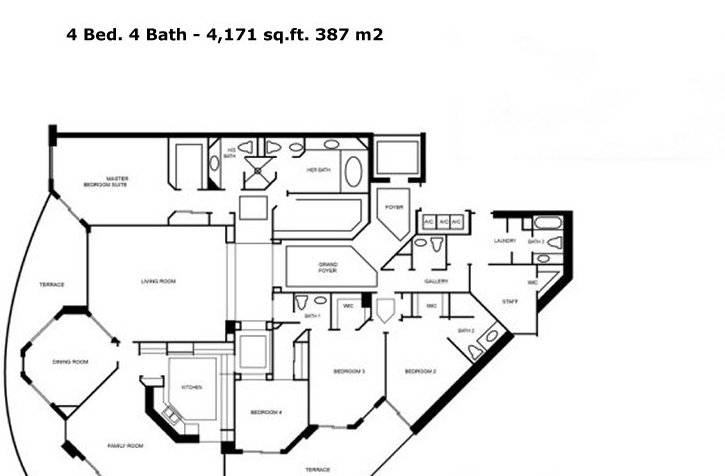 Residents will enjoy private cabanas, as well as a picnic area. For relaxing indoors, the billiards room and private library are also available. In addition, you will always feel safe with 24-hour security personnel. Another great feature of living at One Island Place Aventura is being just steps away from the upscale Water Ways shopping center. There you can delight in local restaurants and lounges by the Intracoastal, looking over the many luxurious yachts docked at the marina. You can also use your own boat slip at the Waterways Marina, take boat rides or just walk along the water enjoying the views and breeze. Since One Island Place Aventura overlooks the opulent single family community of Golden Beach, you will never have to worry about new construction obstructing the splendid views from your private balcony.